Everyone remembers Rhett Butler’s most famous line in Gone with the Wind as he says to Scarlett O’Hara, “Frankly, my dear, I don’t give a damn…” But it didn’t end there. He adds “I’m going back to Charleston, where there is still a little grace and civility left in the world”. 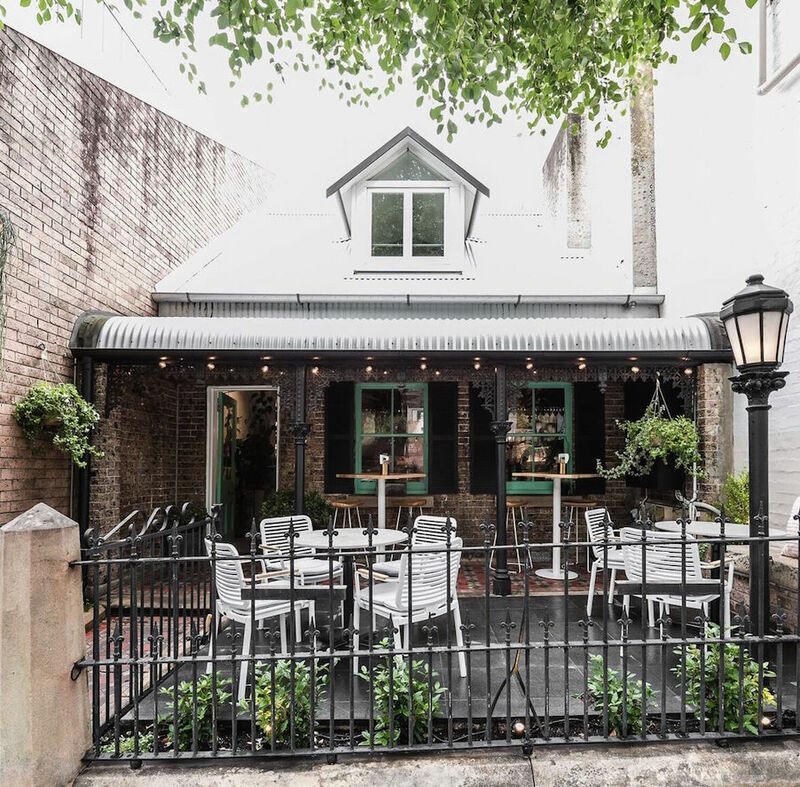 We couldn’t agree more as a Southern Carolina restaurant opens its gabled cottage doors to a new kind of cooking that we ‘thank’ its mighty fine. It’s the second venture for Balmain restaurateurs Rob Teitzel and Osman Misirlizade of The Cottage Bar & Kitchen. Award-winning interior designer, Matt Woods (Beccafico, The Rooftop, Percy Plunkett) has transformed the space with its peachy pink walls, wicker high chairs, hanging baskets, white arched window sit up bar and open kitchen. Bowls of fruit and platters of red peppers have this place not just humming but singing Southern fare. Head Chef, Ellena Kim (ex Sean Connelly’s The Morrison Bar & Oyster Room & hatted Uccello) creates a menu spanning small, large, tacos, side and sweet. Reflecting it’s coastal influence, the headline act is a signature lobster roll. Served on an open toasted milk bun two generous lobster halves (that’s 200g) sit on top of a rich kohlrabi and apple remoulade accompanied by russet coloured house-cooked potato chips. Starters of thickly sliced Hiramasa Kingfish are served on toast with a schmear of horseradish cream and fresh fennel. A party of baby octopus tentacles are soft and charred, served with a swirl of pea puree and watermelon radish. Bring your friends if you intend to tackle the beef short rib – this BBQ sweetness falls off the bone and is best with a side of grilled corn on the cob that’s buttered and finger licking good, plus a side of the mac n cheese. Tacos are flying out the kitchen, which is no surprise when they’re stuffed with crispy chunks of delicate flathead. Order more than you need. With a cocktail menu spanning drops like Carolina High Tea with rye bourbon to Finlandia Vodka ‘Remember Me In The Morning’ everything from the bar to the restaurant is just peachy! 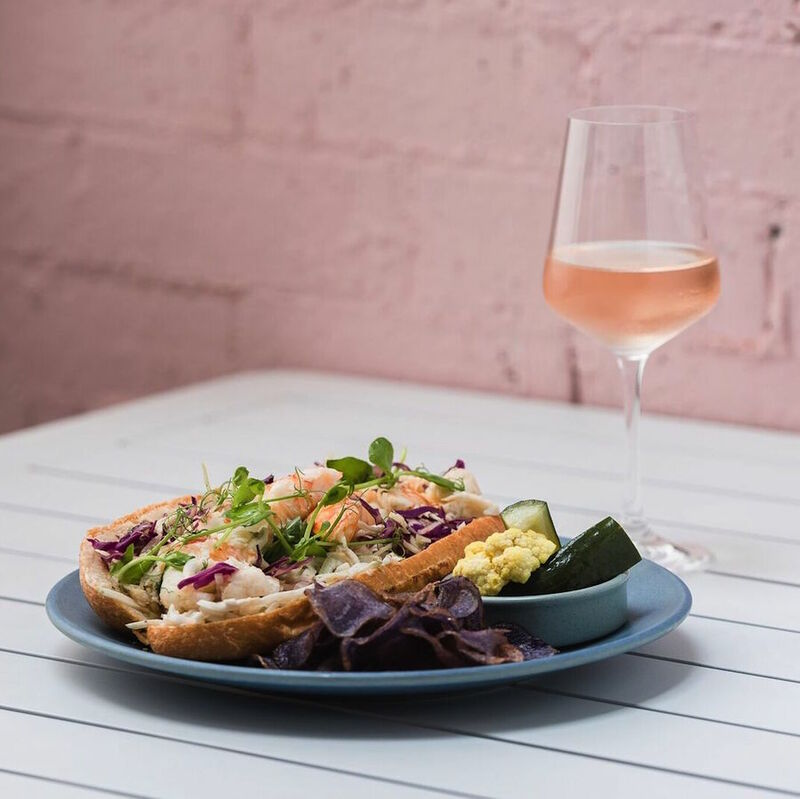 One thing’s for sure, whilst ‘Tomorrow is Another Day’ take advantage of the present and enjoy a bit of Southern hospitality in the Inner West.